Paula Hertel has spent 30 years focusing on improving service delivery systems for the elderly while in executive management positions with consulting projects throughout the United States. She has in-depth experience and a proven track record in senior housing and assisted living operations, staff training, regulatory compliance and new program development. Paula was most recently Chief Operating Officer of AgeSong Senior Communities, a San Francisco, California operator of senior housing where she oversaw operations, marketing and new building development. 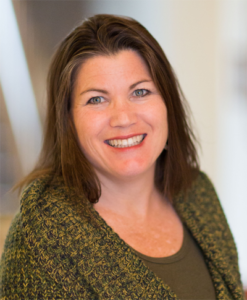 Previously, Paula served as Vice President of Operations and Marketing for Elder Care Alliance where she participated in all phases of feasibility, development, and operations for its assisted living, dementia, and multilevel long-term care communities in the San Francisco Bay Area. She also worked for ARV Assisted Living for 11 years in various capacities, including serving as Vice President of Operations and Strategic Planning. Paula is involved in innovative research studying the benefits of equine guided workshops for people affected by dementia through a nonprofit, Connected Horse, she co-founded with Nancy Schier Anzelmo. Dedicated to the field of senior housing, Paula has given her time to numerous advisory boards. She is the past commissioner of the California Health Policy and Data Advisory Commission and a past board member of Assisted Living Federation of America (ALFA, now Argentum). Paula is currently on the board of directors for the California Assisted Living Association (CALA) where she is the past President and Co-Chair, Education.